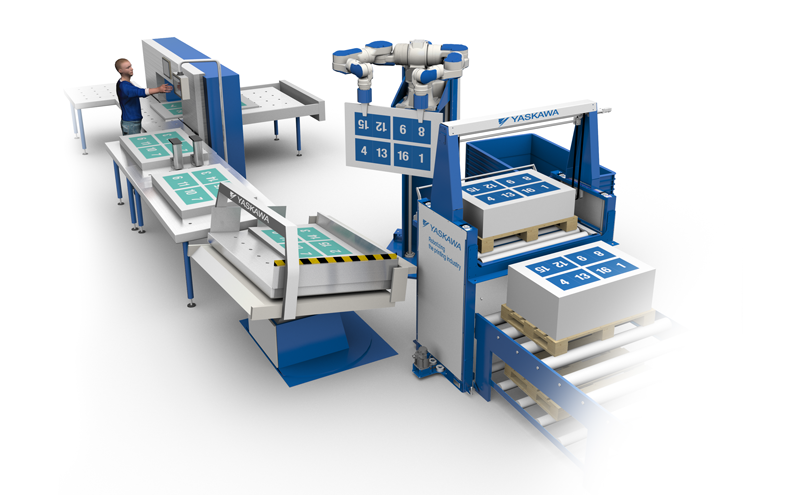 Yaskawa Levanto is the group name for a range of robotic solutions, which all are related to lifting and handling sheets of various sizes. Yaskawa Levanto 106 is, at present, available for sheet cutter lines with sizes of up to 76*106 cm (41”). Versions for handling bigger sheet sizes are in preparation, as well as versions for handling sheets at cover stations of saddle-stitchers.